This tool makes it super easy to fill up to 48 round lip tubes at once! The silicone is durable and easy to clean. Flip lip balm filling tray upside down onto a clean surface. It should be text side down. Insert top of lip tubes (sold separately) into tray. Once all lip tubes are placed, carefully flip the tray and tubes over and set down on counter. Ensure the tubes remain tightly pushed into the tray. Pour melted lip balm onto tray and into tubes. Allow to harden. Use a small metal spatula to scrape excess lip balm off of tray (this can be saved, re-melted, and poured again). Remove lip tubes from tray, cap, and label. Watch our Product Spotlight video to learn more. COMMENTS: We have a couple of these, and I'm always watching for sales to get more. It makes filling 48 tubes take moments. COMMENTS: Love this..should come with directikns for us with blonde moments. You can put tubes in from bottom and then remove from bottom after they are filled and set. COMMENTS: This was a great product to use with the lip balm base! It saves time and clean up. COMMENTS: Makes making lip balms a breeze! "Easy to use - Makes filling tubes a simple task." COMMENTS: This tray makes filling the tubes easy with less mess. COMMENTS: I can't believe it took me so long to finely purchase this filling tray. I have been hand filling each tube & then wiping off each tube for years. With the use of this tray it takes a minute to pour the melted mixture. Very little clean up if any on the tubes. The tray is also easy to clean. Thank you WSP for such a great product. COMMENTS: I love this silicone lip balm filling tray!!! In the past, I've used a plastic filling tray from another company. I really disliked making lip balm because it was always such a mess. The silicone tray makes it so much easier and neater! COMMENTS: I am use to the hard plastic trays so when I received this one I was surprised they came in silicon. The only downfall is when you pick it up to move to fridge once balms are filled, the tray bends and liquid runs out of tubes. I suggest using a piece of cardboard or tray underneath for easy moving when balms are not set. Otherwise great purchase! COMMENTS: This filling tray works great. I would have made such a mess if I didn't have this. The tubes fit snugly and it's easy to clean up. "The best lip balm tube filling tray"
COMMENTS: I have tried a few different types of lip balm tube filling trays, and this one is the best by far. The silicone is flexible yet sturdy, and it's far easier to clean than plastic trays. So far, it has held up well. COMMENTS: Loved this for my balms as it was much less of a hassle to fill with just pipette droppers. "Silicon tray is much better than the rigid trays"
"You need this if you are filling lip balm tubes"
COMMENTS: What did I do with out this before??? It is worth the amount of money to purchase this. It is a time saver and a product saver (I had less waste when I used this). I cannot say enough good things about this. COMMENTS: I wish I had gotten this a long time ago. I have never been able to fill lip balm tubes so easily! I can fill it up with tubes and make more than one king of lip balm at a time! COMMENTS: Love this item! Very easy to clean and use! "Crafters Round Silicone Lip Tube Filling Tray"
COMMENTS: This tray filling so many lib tubes easier and less messy. COMMENTS: This item is a major time saver. I have sold lip balms for over a year and filled each and every tube individually. I will never be without this product!!! COMMENTS: Finally an easy way to make my lip butter in bulk. This tray saves me so much time and frustration. "Best product for any lip balm maker!" COMMENTS: This is a must have item for anyone making lip balm. I highly recommend it. Trust me when I say this but I'll like your life so much easier. "Made me love making lip balms again!" COMMENTS: We went from no filling tray (disasterous), to the hard plastic filling trays (not fun to work with), to these lovely trays. Makes it super easy to fill 48 lip balms at a time! • I wish I had more of them! "Easy to use and saves messes." COMMENTS: This tray is easy to use, does not mar the lip balm tubes and helps to control over pours. COMMENTS: I have used another type of filling tray and this silicone tray is awesome. The tubes are flush with the top and just enough lip for over pour. After scraping and cooling I have no dents at all in any of my balms. Love, Love Love! "Better than plastic mold - heat resistant"
COMMENTS: I make high quantities at a time, usually hundreds. I previously had the hard plastic filling tray and this is vastly superior because it doesn't warp. I clean it by dumping hot water on it in the sink (along with my Pyrex pouring jar and metal spatula) before scrubbing. It makes the amount of waxy scum to get off much less. I also melt the tops of my balms for a perfectly smooth finish with a heat lamp and sometimes I will use the lamp right over this instead of removing and carefully handling each one. It's great. COMMENTS: I love that this makes filling lip balm tubes a breeze! I do not have a steady hand, but with this filling tray I don't need one. It made the production time much faster than it would have been for me to fill individually and cleans up easily! COMMENTS: A must have if you make a lot of lip balms. Say good-bye to the mess, very convenient. I hated the way my balms looked after pouring and got a bit discouraged. This is a great help and keeps the tubes nice and upright while hardening. COMMENTS: Nice product, but a bit pricey. COMMENTS: there are certain standard equipment we as bath and body product artisans must have, this is one of them. when I first started, I bought the most needed equipment first and so on and so forth. this was not on the list and I was filling lip balm tubes by hand. it wasn't bad but, once you purchase one, you'll be glad you did. saves you lots of time and energy and time means money in our industry. COMMENTS: Easy to use. Making lip balms is so much faster now. "OMG! Makes life so much easier!" COMMENTS: I absolutely adore and recommend this product! It makes filling those tiny lip balm tubes a snap! Cannot imagine life without one! Simply wash, dry, set tubes, and pour! Done! COMMENTS: I used to wrap an elastic around my lip tubes to fill them. Never again!!! This thing makes it soooo easy now! COMMENTS: Wow... I thought this was just for lip balms and would not need more than one - now with the bath fizzies I have 10 of these. Thanks for the wonderful recipe and great idea! COMMENTS: In the past, I have just poured the warm lip balm liquid into the tubes. I thought I would give the tray a try after reading the reviews. It was a good choice. The tray did make it easier. I found that I needed to weigh down the edges because the tray curled toward the center once the tubes were placed in the holes. COMMENTS: I like this product but if I'm not making enough the mold is a bit floppy. I knew it would be an issue to I just prop some on the other side to hold it up while I fill them. "round silicone lip tube filling tray 3001"
COMMENTS: This is one of the best inventions ever! If you make lip balms in the tube, this is a must have! Made the job one of the fastest ever. COMMENTS: These make filling your tubes so much faster! COMMENTS: I am so glad that I purchased one of these. They make filling the lip balm tubes so easy. If you are filling empty tubes you NEED this! COMMENTS: I couldn't imagine doing lip balms without this! I switched from little tins of lip balm to actual chapstick tubes. Absolute lifesaver. This made it quick, easy and it catches the spilled product. I was able to scrape enough off to completely fill another set! COMMENTS: Makes filling lip balm tubes super easy. A must have! COMMENTS: Lip balms are one of our most popular add-on items, but also one of the most frustrating to make...that is, before we discovered this tray! We significantly cut down on the time spent manufacturing our lip balm tubes; between cleanup, spilled/dripped product and ease of use, we can't imagine ever making tubes again without this tray. Just pop them in, fill them up, and smooth over with a flat spatula and you're done! Wash these trays off in the sink and you're good to go all over again. We will definitely be adding more of these to our equipment. • clean up is fast and easy! COMMENTS: I don't know why I didn't invest in this sooner. This has saved me so much time and stress when making lip balm. It is a must have. The lip tubes fit nicely onto this tray. It is easy to wipe down and wash. COMMENTS: Absolutely in love with this filling tray! It made pouring lip balms much easier. It is also very easy to clean! I have two so I think I am set for now but I am considering purchasing another one for a friend because I love it so much! COMMENTS: This mold is well made, durable and a great price. Very happy with my purchase. "Makes lip balm pouring a breeze!" COMMENTS: This product really helps in reducing clean up time for pouring lip balm tubes. My lip balm tubes remained free of product. "Works well and easy to clean up"
COMMENTS: This is a story of happy and sad. Sadly, WSP does not stock black lip balm tubes and I have to buy them from the other guys. Those other guys sell a hard plastic lip balm tray that does not properly fit their own tubes. Happily, WSP sells this fantastic tool. It's easy to clean, and works with the tubes from the other guys. I started with one but I'm back to order the 5 pack because I love the idea of being able to efficiently pour 240 tubes at a time. COMMENTS: Love this product, because it makes filling the lip balm tubes very easy. This is a useful tool. COMMENTS: This worked really well for me. It makes lip balms so much easier. If I am doing just a small batch, I place a tube in each corner for stability and then place the tubes I will be filling in the middle. So easy for both large and small batches! COMMENTS: I love this filling tray, makes filling multiple tubes so easy! COMMENTS: I can't imagine how I ever made lip balm without this tool. It is truly an essential! Simply turn it upside down, insert the tubes, flip it over and fill with lip balm, use a flat tool to scrape off excess lip balm to re-melt, and warm the tops of the lip balms with a blow dryer for a moment to give them a smooth finish. Then pull them out and cap them! No mess, no waste, no greasy tubes, no shrinkage holes in the lip balm. "I love this thing! " COMMENTS: I don't know how I made lip balm before. This tool is absolutely nessasary when making lip balm in bulk! "Wish I bought earlier "
COMMENTS: So easy and fast. Clean up was a breeze! "Round Silicone Lip Tube Filling Tray"
COMMENTS: I love this so much better than the hard plastic one I purchased from another source! Fits the lip balm tubes perfectly. COMMENTS: I like the concept but find that a lot of product gets stuck on the actual tray. Would love to see the tray improve. COMMENTS: Excellent tool for making lip balms. If you make lip balm then this is a must have in your supplies. "Can't make large batches without this tray"
COMMENTS: The only way to make large batches of lip balms is with this tray. Save time and reduce waste, it's well worth it. "Easier to clean than plastic version"
COMMENTS: I have a stiff plastic version from another source, and I like this silicone version better. It's easier to clean since it stretches a bit. If you're going to do lip balm, get a filling tray and save yourself some major headaches! "Wish I would have got this years ago! " COMMENTS: I always hated making lip balms because it was always a mess. It always ended up all over the tubes and I'd have to wipe them all off, usually a couple of times or the labels would not stick to the tubes. Then I got this and what a difference, it doesn't matter if I over pour, when they harden up you just pull them out of the holder and the excess comes off the tubes, no mess! One of the best things I've ever bought! "Comes in handy for fast stocks"
COMMENTS: Great for filling 50 tubes in less than 5 minutes so I like it. I usually let my kids fill the lip balms for me and they seem to like it as well. COMMENTS: I love this tray so much I have to buy another one! I have this one and a hard plastic one from another company and this one from WSP is far superior! Makes producing a large quantity of lip balms a breeze! COMMENTS: This is a great aid for filling lip tubes. It makes the job simple and helps create a more professional looking end product. The silicone is easy to clean and is really durable. Great product for the price! COMMENTS: This lip tube filling tray made filling the lip balms so easy. The tubes fit flush against the tray making filling a breeze. It is durable and was a sound purchase. • I like the silicon material. COMMENTS: I used this tray and WSP's tutorial to make bath fizzies. It lays flat on the counter so you can easily fill the tray with product, let it dry, and pop them out! 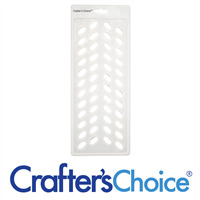 "Crafters Choice™ Lip Tube filling Tray"
COMMENTS: This tray worked wonders on helping to fill up the lip tubes easily, quickly and, in my opinion, best of all it makes the pouring process so much cleaner! I would recommend the tray to anyone who fills around 10+ tubes at a time. COMMENTS: This tray has minimized my clean up time- work smarter, not harder. I love this thing. COMMENTS: for silicone but definitely does the job. COMMENTS: Helps me make up to 20 lip balms in less than 5 minutes which saves me time and time is money as we know it. Easy to clean and use. COMMENTS: so glad I ordered this has come in super handy w/ round AND oval tubes - I just put an oval tube in every other hole and it worked great! no more spills or guess work. highly recommend 'splurging' on this one necessity if making anything in tubes. Makes really cute tiny bath melts also! Who'da guessed? just mix up your recipe and spread over the tray that is sitting on parchment or freezer paper - let dry hard, remove and repeat - customers love them! Grandgirls and I had a blast making these and selling them afterward. Have fun! COMMENTS: i use it all the time for filling lip balms. it works well. use it for all different tubes too from different companies and no issue. COMMENTS: If you are filling the tubes this is a must have. Was very easy to use and made things a lot easier! COMMENTS: This lip tube filling tray is excellent. It allows you to fill multiple tubes at once without spills. Easy to clean. Highly recommend. COMMENTS: Loved this lip balm tube filling tray. The lip balm tubes were easy to insert and remove when finished. Your able to make multiples all at once. If you get over zealous with pouring your lip balm, it's easy to scrape the excess off the top and remelt. It was a snap to clean. Would definitely buy again. COMMENTS: Makes filling tubes a lot easier with no waste. COMMENTS: This tray is perfect for filling lip balm tubes. Since its silicone it it easy to clean and reduces waste. Only one complaint- I do wish it was a little stiffer so it would be easier to make it stand. COMMENTS: This mold is perfect for many uses. It is silicone, and very durable. It doesn't rip apart easily when taking the product out of it, and is very flexible. Ill be ordering more of these for sure. • Doesn't rip apart when removing product. COMMENTS: Great tray for filling lip balms. Very easy to clean with soap and water. 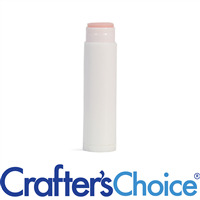 "Crafters Choice™ Round Silicone Lip Tube Filling T"
COMMENTS: What an amazing time saver these trays are not to mention less mess. I need to get a few more. COMMENTS: Love using this for lip balms, less messy. Will use it bath confetti one day. COMMENTS: This is a must have tool. It works with such ease and less mess when filling lip balm tubes. I love it! COMMENTS: I love how easy your filling trays are to work with, this is another great tool you've made available for us. Thanks! COMMENTS: I purchased 2 of these molds to use for lip balm and to make bath confetti. The bath confetti looks amazing. The holes are really easy to pop product into and out of. And the price is right. I can think of 2 or three other uses for this mold...melt and pour embeds and petite lotion bars. I can't wait to see how they turn out. COMMENTS: Such a great way to fill tubes. Used the method in the video and it works great! "Round Lip Tube Filling Tray"
COMMENTS: Must have for making lip balm and perfume solids. COMMENTS: Maybe it's just me, but I found this more trouble than it was worth. The tubes fit very well, but it was hard not to overfill them. Scraping off the tops as shown in the video made the tops look messy, and then there were clumps of lip balm in every hole and crevice on the tray. I won't use this again - I find it easier to fill my tubes individually. COMMENTS: I love the lip balm filling tray. There is no way I could fill all these tiny tubes with any efficiency at all! I'm ordering more! COMMENTS: Used the tray to hold lip balm tubes when creating my first moisturizing Apple lip balms. Found it to be very helpful keeping all tubes upright. I will be purchasing more. 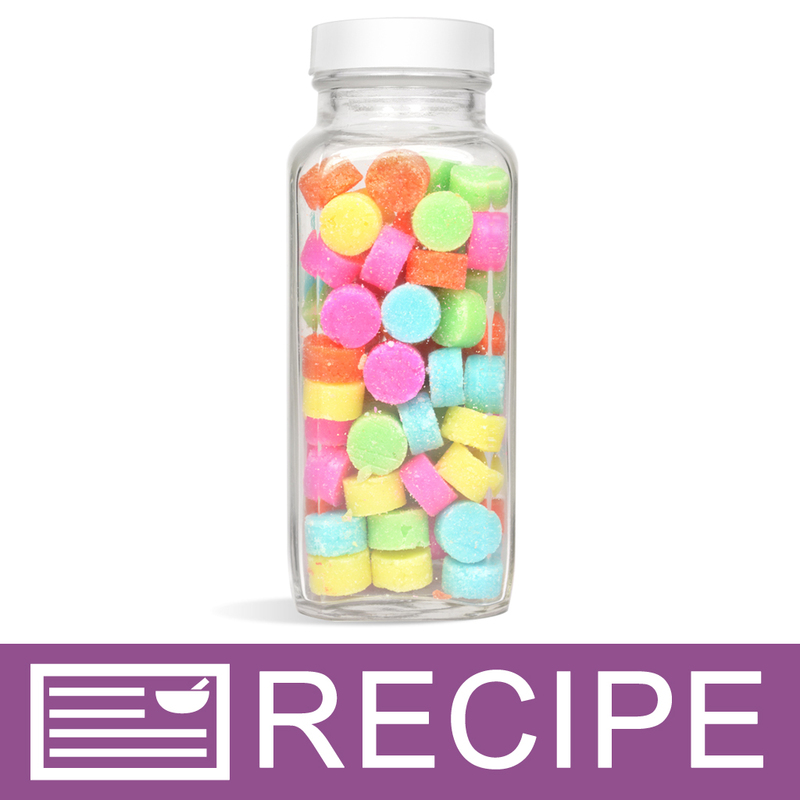 There is also another recipe that uses the holes in the tray to make bath confetti, two uses from one tool is always a plus. COMMENTS: What was I doing before this?! Making a mess. And going so slowly. This tray makes it so easy to pour and quite a few lip balms all at once. Easy to clean too. Let it cool. Re- melt the excess or throw it away. I love it. Need to order one more for my Fall season. You won't go wrong having this tray in your production of fine lip balms! COMMENTS: So cool to be able to fill your lip balm tubes without them falling over. "love this silicone lip tray"
COMMENTS: Easy to use and I should have got it sooner. It is so easy to use. COMMENTS: I have no idea how I would survive making lip gloss in tubes with out this tray. Its a must have. COMMENTS: Why hadn't I ordered this sooner??? Perfect lip balm pour. Love how this saves time. "Makes it SO much easier! 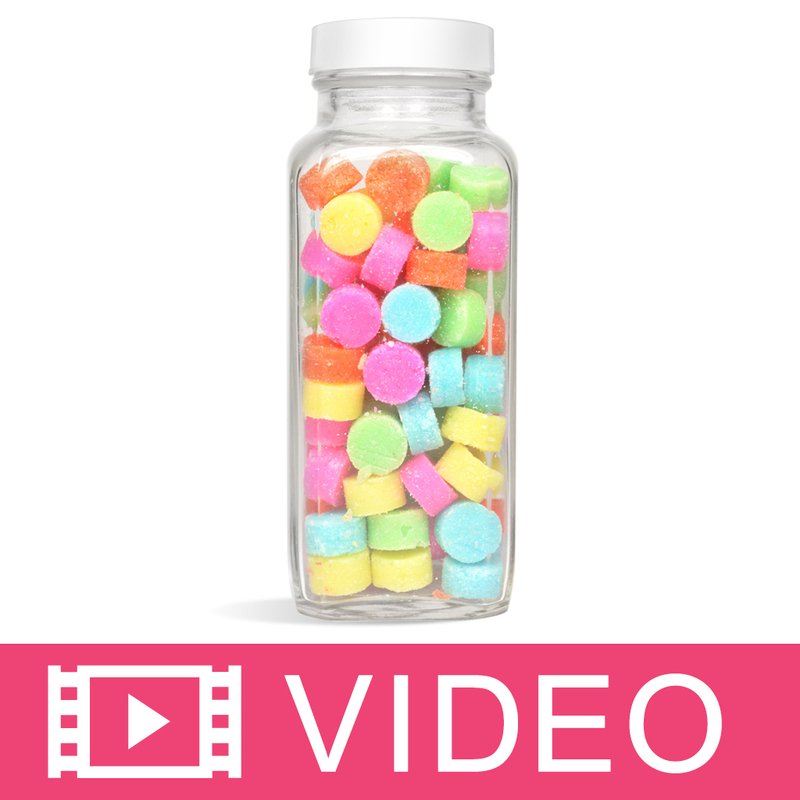 Less waste = more profit"
COMMENTS: If you're making lip balms you MUST get one of these! No more tipping over the tubes when you try to pour. Even if your just making a few tubes at a time for yourself, this tray is a must have. Spread the tubes out to hold the tray up and fill them easily. Easy clean up and less waste. Scrape off any overpour, remelt and make another tube! Less waste = more profit!! COMMENTS: Holds the tubes just right. Easy to clean. COMMENTS: This makes pouring a breeze. It shaves time off and I don't waste product. Love it! "Works Great for holding lip balm tubes"
COMMENTS: Since I am clumsy, this works great for holding lip balm tubes. The more you make the better it holds them up. Kind of hard to clean. "I cannot express the gratitude I have for this!" COMMENTS: This is the best lip balm tray I've ever used. You pull it out and think, well, this is just too floppy. But it is not. It is perfection or as close as you can get! I'm throwing out my plastic tray. Just too much balm left at the top with that plastic thing and the tubes are so hard to get in and then out without messing up the almost 1/8th inch left at the top. This has maybe a 1/16th of an inch and the ease of pushing the tubes in and out is the best! You will not regret buying this one. COMMENTS: I had a large order of lip balms to do. I finally broke down and ordered one of these trays. OMG! They work perfect. I wish I would have had one years ago. It works super fast to fill your tubes. Love the over flow part of it. It fills your tubes way to the top without any settling. The extra lip balm scrapes off so easy. East clean up. If your hesitating ordering one don't hesitate any longer. Just get one. You won't be sorry. "How Did I Live Without This?" COMMENTS: I don't know how I made lip balm without this. It makes filling tubes so easy! I wish I had bought it a long time ago. COMMENTS: I don't know how anyone lives without these trays. I love that they are made of silicone and easy to store. The only thing I dislike is the quantity of tubes that the trays hold. I wish they a size that holds more than 50 tubes. 50 seems to be the standard. COMMENTS: I really like that its flexible, lip tubes fit great. Easy to clean with hot water or just paper towels. COMMENTS: I love this lip balm tray - I now can't live without it! So easy to assemble & fill - LOVE IT! COMMENTS: Have two, love them! Makes lip balm making easy! COMMENTS: I've been making lip balm for over 10 years and do not know how I've lived without a lip bam filling tray. A quality product for a fabulous price! COMMENTS: Making soap & bath products is my hobby. I've mostly done just soap & bath products, but I wanted to try my hand at lip balm. 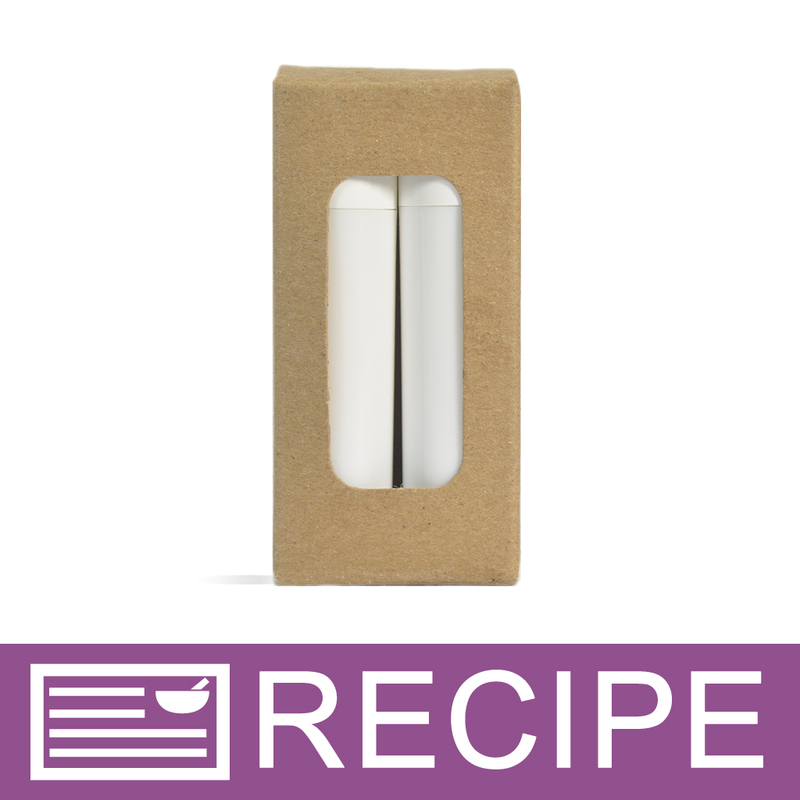 This is such a brilliant product & it made it so easy for a first timer like me to make some really nice looking lip balm that I'm proud to give to family & friends as gifts. COMMENTS: This made filling lip tube really easy and quick. And clean up was a breeze. Loved it. COMMENTS: This made filling my lip balm tubes so convenient. I don't know why anyone wouldn't get this product. I was finished in seconds. I'm probably going to buy another one! It was super easy to clean and even the lip balm that overflowed I was able to scrap off the top and reheat to fill more tubes. Also there were no sunken in tops on my lip balms. It left a nice flat surface. "Obviously a very useful product"
COMMENTS: When this tray seems to be "out of stock" so often, you know it's a good product. It's taken me awhile to get it but I now have it. It makes it so easy to fill the round lip tubes while keeping them upright while they harden. It's easy to clean and is a must have for lip balm makers. "very handy lip tube tray"
COMMENTS: Holds tubes well. Easy to clean. COMMENTS: I did not realize this was silicone when I purchased it. I just noticed that it was half the price of the other filling tray molds I had bought from another site. I do not like the silicone. It wobbles and flops around unless you have a number of tubes in it. I much prefer the hard flat plastic filling trays to this one. COMMENTS: Don't know how I lived without this before. Easy to use. Easy to clean. Great tool. COMMENTS: Vert easy to use and clean. "Makes filling tubes a cinch!" COMMENTS: I've seen the trays that are ridged plastic, but I like this silicone version MUCH better! Easy to attach the tubes, easy to detach the tubes. AND easy to clean up when I'm done. This was a score, since most filling trays out there are more expensive. Very happy with this product! COMMENTS: I love love love this lip balm tray! The silicone makes it so easy to get the lip balms out! COMMENTS: This is worth the money for easy filling. "I love this little tray! " COMMENTS: I had been using little bowls to hold up my lip tubes. This has made my lip balm making experience so much easier- and more fun! "easy to use and clean"
COMMENTS: I found this very easy to use, although silly me didn't think ahead and forgot to put a sturdy tray under it for transfer purposes. "what is the max size (diameter) this tray will take? assuming the silicon stretches a little bit?" Staff Answer This tray is made to fit our .15 oz. round lip tubes. We would not recommend using anything larger as this may stretch out the holes for the regular tubes and they will not fit snuggly. "Can this tray be used for the 2 oz. push up lotion bar tube? " Staff Answer No, the 2 oz. lotion bar tube is too big to fit in the holes. This works with 0.15 oz. lip tubes. "What is the best way to clean these? Are they dishwasher safe?" Staff Answer Any access can be scrapped off of the silicone tray and then warm water and soap is the best way to wash. These are dishwasher safe but we suggest keeping it on the top shelf to reduce direct heat on the product. "Does this work with the .14 oz Vanilla & Natural Lip Tube Set?" "Does this tray fit the 0.15 lip balm size?" "WIll this tray work with the natural, slim tubes? If not do you sell one that does? " Staff Answer This tray does not work with the slim lip tubes. At this time we do not carry a filling tray for the slim lip tubes. "Do you sell a scraper to help remove excess pourage from the top of these?" Staff Answer No we do not sell a scraper, but any type of metal spatula would work. I like using a credit card. I bought a bakery scraper. It is used to scrape dough off tables. I love it.